Massey University and Palmerston North City Council in New Zealand have found a way to increase the production of biogas to help drive the council's cogeneration engine to produce steam and electricity by co-digesting whey, an unwanted byproduct from milk processing, with sludge from a wastewater treatment plant. A full scale trial is under way at the Totara Road Treatment Plant to develop a cheap method of disposing of whey, increase gas production from the city's digesters and ultimately earn more carbon credits. Manawatu Standard - October 30, 2007. The nanotech revolution is going green in an amazing way. Soon, gold nanoparticles, one of the darling materials of the new science field, could be made by utilizing soybeans instead of environmentally damaging synthetic chemicals. A team of researchers at the University of Missouri-Columbia (MU) has discovered a technique with which to literally turn soybeans into gold, with nothing more than a little water and the gold salts used in traditional nanoparticle production processes. The green discovery has created a large positive response in the scientific community. It sets up the beginning of a new knowledge frontier that interfaces plant science, chemistry and nanotechnology. Some are jubilant because the discovery will ensure that gold nanoparticles-based nanomedicine products would be made available even to the less developed regions of the world where farmers grow the renewable biomass needed to make the material. MU researchers Kattesh Katti, Raghuraman Kannan, and Kavita Katti led a team of scientists that have discovered how to make gold nanoparticles using gold salts, the carbohydrates contained in soybeans and water. No other chemicals are used in the process, which means it could have major environmental implications for the future. Researchers believe that gold nanoparticles are set to be used in a large number of new processes and products, from the capture of toxins and lethal microbes to solar cells, cancer therapies, next generations of computer and telecommunications tools, and in the production of 'smart' electronic devices and sensors. By making them from renewable biomass the bioeconomy receives another boost. Typically, a producer must use a variety of synthetic or man-made chemicals to produce gold nanoparticles. In addition, to make the chemicals necessary for production, you need to have other artificial chemicals produced, creating an even larger, negative environmental impact. Our new process only takes what nature has made available to us and uses that to produce a technology that has already proven to have far-reaching impacts in technology and medicine. Gold nanoparticles are tiny pieces of gold, so small that they cannot be seen by the naked eye. While the nanotechnology industry is expected to produce large quantities of the particles in the near future, researchers have been worried about the environmental impact of the global nanotechnological revolution. To complete the formation of gold nanoparticles, harmful synthetic chemicals such as hydrazine, sodium borohydride and dimethyl formamide are needed in lengthy synthetic processes. These chemicals pose handling, storage, and transportation risks that add substantial cost and difficulty to gold nanoparticle production. These harmful chemicals also make it impractical, if not impossible, to produce gold nanoparticles in-vivo. The new discovery has created a very large positive response in the scientific community. Researchers from as far away as Germany have been commenting on the discovery's importance and the impact it will have in the future. Katti, Kannan, Henry White, MU professor of physics, and Kavita Katti, a senior research chemist, have filed a patent for the new process and developed a new company, Greennano Company, which focuses on development, commercialization and world wide supply of green nanoparticles for medical and technological applications. The research team includes Kattesh and Kavita Katti, Kannan, post-doctoral scientists Satish Nune and Nripin Chanda, and Mizzou graduate student Swapna Mekapothula. The research was funded by grants from the National Cancer Institute. Katti recently presented the work at the annual National Cancer Institute Alliance for Nanotechnology in Cancer Investigator's meeting in October. He also will be presenting the research at the Fourth International Congress of Nanotechnology and the Clean Tech World Congress held in San Francisco in early November. The discovery also could open doors for additional medical fields, as some of the chemicals used to make nanoparticles are toxic to humans. Having a 100 percent natural process could allow medical researchers to expand the use of the nanoparticles. Dr. Katti's discovery of green and non-toxic gold nanoparticles is a significant step to help alleviate the pain and suffering of patients with Pseudoxanthoma elasticum (PXE) says Frances Bernham, president of the National Association of Pseudoxanthoma elasticum. PXE causes changes in the retina of the eye that results in significant loss of central vision. The application of soy for the production of gold nanoparticles is amazing. It shows for the first time that chemicals within soy are capable of producing gold nanoparticles. This clearly marks the beginning of a new field of 'Phytochemical-Nanoscience' and opens up a new pathway for discoveries in nanotechnology. This invention will have far-reaching implications in nanoscience and technology research globally since nanoparticles of gold are used in almost every sensor design and are implicated in life sciences for diagnostic and therapeutic applications. - Puspendu Das, physical chemistry professor at the Indian Institute of Science Bangalore. Eurekalert: MU researchers go nano, natural and green - October 31, 2007. University of Missouri: Kattesh V. Katti, Professor of Radiology & Physics Senior Research Scientist MU Research Reactor homepage. Between November of 1987 and January of 2005, the longest CO2-enrichment study of a long-lived woody plant species ever to be conducted was carried out at Phoenix, Arizona (USA), by an international team of researchers. The results show elevated levels of CO2 boost both the total amount of biomass produced by the trees as well as the harvestable yield, that is, fruits. The effects were long lasting. The findings have been reported in the October issue of Global Change Biology. They confirm that an increase in atmospheric CO2 could be beneficial to many types of vegetation. However, scientists have warned that these effects could be largely offset by an increase in atmospheric ozone (earlier post). The tests where organised by Bruce Kimball of the US Agricultural Research Service's Arid Land Agricultural Research Center, Sherwood Isdo from the Center for the study of Carbon Dioxide and Global Change, Stephanie Johnson of the University of Montana and by Matthias Rillig of the Institute of Biology at the Free University of Berlin. They were initiated with the out-of-doors planting of eight sour orange (Citrus aurantium L.) seedlings, and with the initial project researchers surrounding pairs of the seedlings with clear-plastic-wall open-top chambers, within which four of the trees were exposed to a continual bottom-to-top flow of ambient air, while the other four trees were exposed to a similar 24-hour 7-day-per-week upward flow of air enriched with an extra 300 ppm of CO2. The scientists state that "the trees were fertilized and flood irrigated similar to practice in commercial orchards so as to maintain ample nutrients and soil moisture." So what was learned from the historic 17-year experiment? In terms of total biomass production, which was the primary focus of the summary report, Kimball and collegues state that the CO2-enriched to ambient ratio of annual wood plus fruit production "peaked in years 2-4 of the experiment at about 2.4," but that "following the peak, there was a decline through year 8." Thereafter, they found that the annually-produced-biomass ratios "were more or less at a plateau that corresponded with the value of the ratio at final harvest of 1.69." In addition, the scienistst report that "the vitamin C content of the fruit was increased 7% based on samples taken from the fourth through the 12th years of the experiment." Consequently, not only were there a whole lot more oranges produced by the trees in the CO2-enriched chambers, a whole lot more better-quality oranges were produced. In their concluding discussion of one of the major implications of the study, the researchers write that "rather than a continual acclimation" - i.e., rather than a gradual long-term decline in the aerial fertilization effect of the extra 300 ppm of CO2 supplied to the CO2-enriched trees "instead there was a sustained enhancement of about 70% in annual fruit and incremental wood production over the last several years of the experiment." This observation thus led them to conclude that "the effects of elevated CO2 on trees can be large and sustained for many years," as they indeed demonstrated to be the case with sour orange trees, there having been a 70% sustained increase in biomass production over the entire last decade of the study in response to the 75% increase in the air's CO2 content employed throughout the experiment. By the end of 2008, Japan's Ajinomoto Co., a global food processor, will switch from oil to rice hulls for most of the fuel consumed at one of its key seasonings plants in northern Thailand. The biomass resource is abundantly present in the region, but has no market value. Farmers and rice processors often simply burn the hulls as waste, which releases carbon dioxide into the atmosphere. Ajinomoto now wants to utilize the biomass in an efficient combustion system to power a large food plant and so cut back its own emissions. It will apply for the project to be registered at the UN's Clean Development Mechanism (CDM). The food plant in Thailand ferments sugars and starches extracted from sugar cane and cassava to produce seasonings and will generate steam for this fermentation process in dedicated boilers that use rice hulls for fuel. 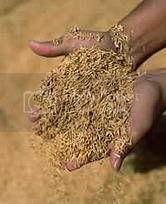 Rice hulls will be purchased from farmers in the surrounding area, where large quantities of the hulls go unused. This will mark the first time Ajinomoto has used biomass fuel at an overseas production site. As the biomass fuel adds no carbon dioxide emissions the atmosphere because the CO2 released during the combustion process is absorbed by plants as they grow, Ajinomoto's carbon footprint will improve considerably by utilizing this 'carbon neutral' form of energy. The switch to rice hulls will reduce annual CO2 emissions by around 100,000 tons, or nearly 5 per cent of the global group's annual total. There has been growing interest in the utilization of rice hulls as a biomass fuel. The resource is abundant in all large rice producing countries, but its efficient use requires the development of high tech combustion facilities. Major energy companies, including France's nuclear giant AREVA (more here) and the Thai Board of Investment (here), are building biomass power plants in Thailand with dedicated technologies for rice hulls. The Fraunhofer Institute - Europe's leading applied technology institute - is developing a highly efficient circulating fluidized bed combustion system that unlocks the energy potential contained in the residues (earlier post). Now consider that Thailand as a whole produced some 29.4 million tons of rice in 2004. At a residue-to-product ratio for hulls of 0.20 to 0.35 (meaning that for each ton of rice produced, some 200 to 350 kilogram of husks are left over, with an average of 280kg/ton), and at a lower heating value of between 13 to 19 MJ/kilogram (with an average higher heating value of 18MJ/kg) then it is not difficult to see the energy potential contained in the resource: if all rice hulls were used in gasification or combustion systems with an overall efficiency of 33 per cent, the country's technical energy potential from rice husks alone can be estimated be around 49.5 TJ of energy. (For the residue-to-product ratios and energy potential of biomass residues, see this earlier post). Rice also yields a large amount of straw, which is being investigated as a feedstock for the production of cellulosic ethanol. Ajinomoto is preparing to apply to the governments of Japan and Thailand as well as to the United Nations to have this recognized as a clean development mechanism project, giving it credit for emissions reduction. Ajinomoto has been present in Thailand since 1960, as the first overseas production base of Ajinomoto Co., Inc., Japan. The company has gone through an intense diversification phase, and nowadays operates 18 group companies in the country employing over 5,000 staff in the manufacture of a variety of products. The Ajinomoto Group is active in 23 countries and regions worldwide, employing around 24,861 people as of 2004. Yearly revenue stands at US$9.84 billion. The EU's Agriculture Commissioner, Mariann Fischer-Boel, has responded to criticism of the EU’s biofuels policy, arguing that, so far, nobody has brought any scientifically or economically sound arguments against it, and that instead the sector will bring real benefits to everyone. She also supports the kernel of a 'Biopact' with the South, promoted recently by Brazil's president Lula at the landmark International Biofuels Conference organised by the EU last July (previous post). Such a Biopact offers a win-win situation for all of us. She adds that many of the NGOs who have been complaining for years about a lack of agricultural opportunities in developing countries, now suddenly criticize the emergence of the largest such opportunity in decades. Biopact certainly agrees that much of the criticism against biofuels in general is not supported by any credible facts. However, there definitely are some highly problematic aspects, like the lavish subsidies in the EU and the US, the tariffs which keep much better biofuels from the South out of the market, and the lack of courage to help developing countries tap their huge sustainable biofuels potential by means of science and tech transfers. The good thing is that Fischer-Boel indicates she is willing to further review the EU's current biofuel subsidy schemes (one of which, for energy crops, was recently scaled back, earlier post), and that the Union will import fuels from the South, where they can be produced much more efficiently and yield major social and economic benefits. When it comes to food 'versus' fuel, all those who say biofuels are the major cause for increases in food prices are out of line. Fischer-Boel, a former Danish minister for food herself, says the statistics do not support the claim in any way: the EU uses less than two per cent of its cereals output for ethanol, which can never explain the double digit per cent increase in prices for cereal based food. European MEPs last week called on the commission to conduct an environmental and food-security impact assessment which takes account of existing competition for land and resources between food and plant-based fuel production in the EU. The assessment will bring reason to the debate which has been hijacked by some people who just say whatever they want without looking at the actual numbers and facts. Fischer-Boel also debunks suggestions from the 'environmental lobby' [note: these are the words of 'The Parliament'] that biofuel production may do more harm than good to the environment. Writing in the latest issue of the Parliament Magazine, the agriculture commissioner says that speeding up the production of the second generation of fuels will have a huge positive impact on Europe’s CO2 emissions. I will look into the possibility of abolishing the current aid to first-generation biofuels and diverting the money to promote innovation in second-generation biofuels. Since 2004, the EU has been granting subsidies to encourage farmers to grow biofuel crops, raising fears of a move away from food production in the EU. Funding applications for 2007 have now reached their annual limit, sparking renewed concern. Fischer-Boel explains that fixing the biofuels target at 10 per cent is “both realistic and sustainable”. She does add that in order to ensure food security, some of Europe’s bioenergy needs will be met by imports, provided the fuels meet emissions criteria. Clearly, it makes no sense at all to import biofuels if more CO2 is made during their production than is saved when using them or if they create other environmental problems. The commission will therefore ask for a guarantee that imported biofuels do not come with a negative environmental performance tag. Many of the biofuels that could be produced in the South have a very strong emissions and energy balance. They reduce carbon emissons far more than fuels produced in the North, and they require far fewer energy inputs. Shipping them in large tankers to the EU is highly efficient and does not change this situation. Next generation conversion processes will make these emissions and energy balances even stronger. For years, we have been criticised for dumping subsidised food in the third world. The same critics have always said the answer to Africa’s problems is an end to such subsidies and rising world commodity prices. There is no doubt that the rising food prices can create problems for parts of the population. But it is also true that it will encourage agricultural production in the developing world and many developing countries have special natural advantages in producing input for biofuels. Our internal reform process has reduced production and allowed us to offer to phase out export subsidies. We take heart from Brazilian president Lula’s statement in July in Brussels that his country is prepared to offer environmental and social certification for bioethanol. Lula convinced the EU of the need a kind of 'Biopact' with countries from the South. He did so at the recent landmark International Biofuels Conference organised to debate and map out the EU's bioenergy future (earlier post). Biopact was invited to the non-public Conference and was recognized as an interesting voice in the debate. Brussels will soon publish a communication setting out its ideas for possible improvements to the common agricultural policy (CAP), the so-called ‘health check’. The 2003 CAP reforms have placed a much greater premium on reducing the environmental impact of farming. This also applies to the production of bioenergy and to the use of pesticides, where farmers are subject to strict limits. Fischer-Boel remains convinced that bioenergy will prove to be a strong card for the future of European agriculture. EU Parliament Magazine: Biofuels: Real benefits - October 29, 2007. The Parliament: EU agriculture chief: Biofuel policy ‘realistic and sustainable’ - October 30, 2007. New Zealand and the United States have agreed to identify ways to expand and intensify scientific cooperation at a meeting in Washington DC, with a focus on biofuels. Minister of Research, Science and Technology Steve Maharey is leading a nine day mission to the US to review the NZ-US Science and Technology Cooperation (STC) Agreement. In a statement released by the US State Department, both parties say the review has confirmed a renewed commitment by both countries to take stock of the current bilateral science partnership and identify ways to expand and intensify cooperation. The parties signed the Science & Technology cooperation agreement in 1974, which was last renewed in 1991. During the past 50 years, the U.S. and New Zealand have cooperated on agricultural research and food safety; developed international consortia on cattle and sheep genome sequencing and expanded geosciences. In addition to these areas, the parties said they had agreed to further scientific and technological research on data management and informatics, environmental and energy sustainability, and climate change sciences. US Under Secretary of State for Democracy and Global Affairs, Paula Dobriansky says the United States and New Zealand have a long history of strong diplomatic ties drawing, in part, on a dense network of institutional associations in the area of science and technology. Around 40 per cent of New Zealand researchers collaborate with US scientists, which is more than any other country. The New Zealand delegation met with representatives from the Department of Energy, Department of Agriculture, U.S. Forest Service, National Oceanic & Atmospheric Administration, National Institutes of Health, Smithsonian Institution, and the State Department. Brussels based HG Consulting, a consortium of consultants from various aspects of the global sugarcane industry whose main purpose is to develop sustainable sugarcane-to-ethanol projects in Africa, is developing a large €330 million (Ksh 287.1 billion/US$476.8 million) project to kickstart Kenya's biofuel sector. The Belgian company aims to guide investors towards an explicitly socially and environmentally sustainable project, to be located at Homa Bay in the West of the country. The plan includes a whole set of much needed infrastructures and services (electricity, water, roads, housing, educational facilities, microfinance, a hospital and health care) which are expected to greatly benefit poor local communities and bring rural development opportunities. Part of the project will be owned by the sugarcane outgrowers unions. The Ngima Project is based on a 10,000-hectare nucleus sugarcane farm and sugarcane from outgrowers representing 32,000 hectares in the Homa Bay region (including Rangwe, Ndhiwa, Rongo, Nyatike and Gwassi constituencies) of Western Nyanza, Kenya. The Luo word for “Life,” Ngima attempts to encompass a broad scope of economic and social development roles while respecting the local environment. Ngima represents life in all of its forms, from the growing of sugarcane with soil and rain to the encouragement of thriving communities through new jobs, high-quality educational opportunities and healthcare services, and opportunities for those who wish to return home. Ngima is about family: employees and outgrowers of Ngima will be cared for like family while we help you to take care of yours. In addition to sugar and ethanol production, the facility will produce enough electricity from bagasse to supply the entire project’s needs as well as provide 225,000MWh of electricity for the national grid. It is expected that the Ngima Project will qualify under the United Nation’s Clean Development Mechanism (CDM). It is estimated that the project will produce 217,000 tonnes worth of Certified Emissions Reductions (CERs), commonly known as carbon credits. The Ngima Project will be entirely privately owned, with at least 5% of the company’s ownership belonging to the outgrowers unions. HG Consulting believes that if outgrowers are involved with the future of the company directly, and will benefit from its success, they will be even more encouraged to work towards better cane development. The estimated start-up cost for The Ngima Project at Homa Bay is 330 million euros (Ksh 287.1 billion). Kenana Engineering and Technical Services (KETS) of Khartoum, Sudan developed the feasibility study. Once the project funding is secured, the next step is to start detailed planning and all aspects related to land ownership, filing proper applications, and outgrowers agreements need to be resolved. Also, HG Consulting needs to coordinate efforts with Kenya Sugar Board (KSB) and Homa Bay officials. The next phase of the project is the implementation, which includes engineering, procurement, delivery, installation, commissioning, and performance tests. This phase is expected to take approximately two years, said Abdelmuniam Kardash, Senior Engineer at KETS and project manager for the Ngima Project at Homa Bay’s Feasibility Study. Implementation of the Ngima Project will begin as soon as project funding negotiations are completed, with hopes of beginning in the first or second quarter of 2008. The project will take approximately 18 to 24 months for the first crush to begin. Implementation will be managed under contract by Kenana Engineering & Technical Services whose experience not only in the Kenyan sugar industry but also in the redevelopment of sugar industries across Africa, including Sudan and Nigeria, is recognized as a world leader. HG Consulting chose to use KETS as the project managers and to develop the feasibility study because of Kenana Sugar Company’s more than 30-year history of world class sugar production while at the same time providing top-class social services like educational and medical facilities for their workers. Kenana is one of the most cost efficient sugar producers in the world, and even so, 40% of the price of their sugar accounts for investments in their social programs. That is a model HG Consulting wishes to emulate at The Ngima Project. Under KETS’ management, the Ngima Project will also be recruiting many local and national staff to shadow their work under a technology transfer program so that after three to five years, the business may be managed nearly entirely by Kenyans. Included in the overall budget is the construction of 50 kilometers of internal roads between the cane farms and 45 kilometers of roads connecting the farms to asphalt roads. In additional to these roads, it is understood from the District Commissioner that money has been earmarked by the central central government for the improvement of asphalt roads in the area as well as the construction of a small bridge that will help improve cane haulage and reduce transportation costs in the region. The provision of social services for the local community, employees, outgrowers and their families is one of the tenets of The Ngima Project. During implementation, a township will also be developed. From the 330 million euros budgeted for the construction of The Ngima Project, more than 14 million euros have been set aside for the design and construction of the township which will include flats for senior staff and their families, a bachelor complex for 100 on-site workers, a water treatment plant, elevated water tanks, water supply networks, a sewer treatment plant, and sewer networks. In addition, a fully-staffed hospital, an elementary school and a secondary school will be built and operated by The Ngima Project. Services will be provided to employees, outgrowers and their families either free of charge or at significantly subsidized rates with services also available to the surrounding community. Specific details regarding the social services will be developed during the design stage of the implementation period and the community will be encouraged to participate in that development through “town hall” meetings. Future plans for social programs under the Ngima Project include additional educational and health facilities, a network of mobile HIV/AIDS vans for testing and treatment and a microfinance program that will allow the families of employees and outgrowers to develop their own businesses and continue to develop the community in their own way. HG Consulting of Brussels, Belgium is a consortium of consultants from various aspects of the global sugarcane industry whose main purpose is to develop sustainable sugarcane-to-ethanol projects in Africa. With experts from the sugar trading, marketing, production, engineering and communications fields, HG Consulting is the first enterprise of its kind in the world to focus on the potential Africa holds to become a major ethanol-producing region while respecting the need for balance in food production and rural development. Each and every project HG Consulting develops includes free or subsidized health and education facilities for employees, outgrowers and their families. Kenana Engineering & Technical Services Kenana Engineering and Technical Services, (KETS), with its headquarters in Khartoum, Sudan, is a local and regional leader in providing knowledge-driven services. With more than 150 professionals in more than five African countries, KETS provides premiere solutions to private customers, municipalities, government agencies, multinational companies, industrial concerns and organizations worldwide in the agro-business and infrastructure fields. HG Consulting: 42,000 hectare sugarcane-to-ethanol project underway in Western Kenya [*.pdf] - October 2007.